Most US and european cell phones work in the D.R. There is GSM coverage for most of the island. Codetel / Claro also has the old PCS system with out a simcard and it works almost everywhere. It will however be phased out for GSM with in the next few years. If you wish to telephone home you can call from either your hotel or from your nearest Telecommunications center such as Codetel or Tricom. It will be more expensive to phone from your hotel. To call an Europe number, first dial 011 + country code and then the area code + number. 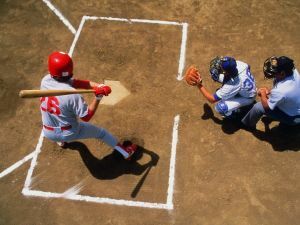 To the US and Canada dial 1 and then the area code. 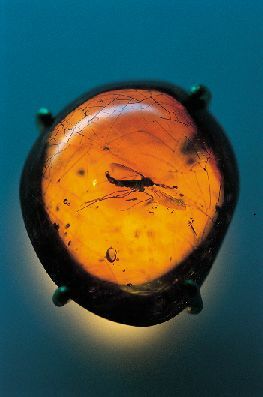 Since the book and movie Jurassic Park, Dominican amber has become world famous. Dominican amber differentiates itself from Baltic amber by being mostly transparent and often containing a higher number of fossil inclusions. Dominican amber found on the world market is natural amber the way it comes from the mines, and has not been enhanced or received any chemical or physical change. The age of Dominican amber is around 40 million years. Although all Dominican amber is fluorescent, the rarest Dominican amber is blue amber. It turns blue in natural sunlight and any other partially or wholly ultraviolet light source. In long-wave UV light it has a very strong reflection, almost white. Only about 100 kilos of this fossilized tree is found per year, which makes it valuable and expensive. Dragon carved from Dominican blue amber. Dominican amber, and especially Dominican blue amber, is mined through bell pitting, which is extremely dangerous. Bell pitting is basically a foxhole dug with whatever tools are available. Amber is regarded as the national stone. Amber jewelry is in great demand as souvenirs. This island has one of the worlds largest deposits of amber. The prices for the translucent, semiprecious stones, which range in color from pale lemon to dark brown, are unmatched. The most valuable stones are those in which prehistoric insects or small leaves are embedded. Santo Domingo has many shopping Centers and specialized shops offering the best known national, international brands and excellent world fashion designers. In both rural and urban areas, the peoples collective artistic expression is manifested in a variety of crafts. Arts and crafts can be purchased at the Mercado Modelo (the biggest open market for crafts in Santo Domingo) and Conde Street where you find a variety of objects made from horn, wood, leather, snail shell, amber, ceramics and fabrics. The Dominican Republic is also well known for its rum, coffee, and cigars. Bargaining is a must in the Dominican Republic, especially with street vendors.